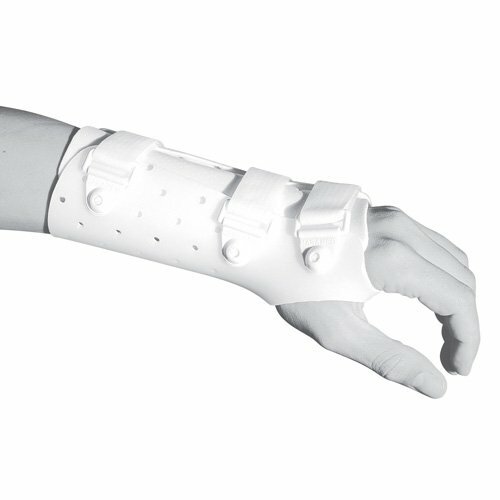 Provides proper support and immobilization of the wrist. Allows unobstructed motion of the thumb and fingers. Indications include: Post-cast fracture immobilization, Wrist fractures and sprains, Cumulative Trauma Disorder, Carpal Tunnel Syndrome, Post-tendon transfer support, Postoperative support after removal of internal or external fixation devices.